Quick Ways to Boost the Curb Appeal of your Home - Whistler Real Estate Ltd. Believe it or not, curb appeal can be a big factor for potential buyers when viewing a property. Buyers often make very quick first-impression decisions when looking at homes, and the outside of your property is the first thing they will see. A polished exterior creates an inviting experience for visitors and can even bring more people in when hosting open houses. We spoke to our Realtors to get some of their top tips on quick ways to improve the curb appeal of your home. The simplest way to improve your curb appeal is by cleaning up your home exterior. This doesn’t take long and is really effective at making sure your property looks its best. Make sure you trim bushes, sweep up any leaves or dirt, remove weeds, and mow your lawn, but also consider hosing or power washing your driveway and fence. Take care of your windows and make sure you clean them inside and out. If they are especially dirty you can also hire a window cleaner to come round. Speaking of windows, consider adding shutters as these are a great way to accentuate the size. They will look larger and add visual interest by contrasting with the exterior wall, making your home really pop. Upgrading your door may sound expensive, but it really doesn’t have to be! Aside from painting your door, you could also add molding, which will provide a decorative frame that welcomes visitors. If it is seasonally relevant you can add a wreath to your door as a little bonus! Adding numbers to your door can also provide a bit of a boost. However, if you don’t want to buy new numbers or alter your freshly painted door you could add numbers to your porch, your wall, or even paint a planter with your property number and place it near the door. Refreshing the paint on your property is one of the best ways to boost curb appeal. It doesn’t have to be the entire house though! You can just focus on the trim, add accents or paint the doors and shutters. Before choosing a colour be sure to look at the surrounding properties and consider colour trends, along with what will fit your home’s natural style. Adding or replacing exterior light fixtures really adds the extra level to your property to make it more inviting. Lighting leading up to your property or warm lighting in the porch area acts to draw in potential buyers and is a simple way to make big improvements. Planting flowers and trees are little things that go a long way. Don’t have a garden area? Small flower boxes and plant pots achieve the same thing and add life and colour to your home. 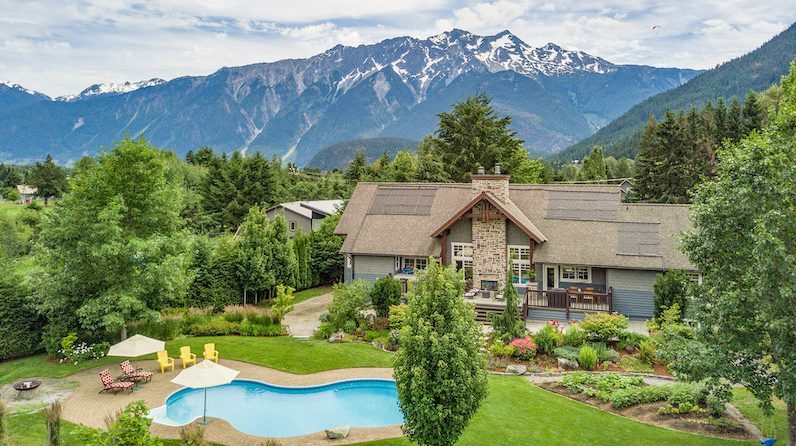 Are you thinking about selling your Whistler property? Get in touch with one of our local agents and we will be happy to assist or answer any of your questions!